I’m convinced there is a hidden camera in my house, in my car, in my diaper bag - somewhere someone is watching my life and showing it to everyone for a laugh. 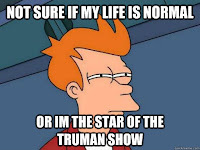 Remember the “Truman Show” - yep thats me - I always feel like Jim Carrey, stuck in a world he thought was reality while really millions are watching him laughing at their tv at every moment of his life. The day the cat was found in our car (revisit that fun story here,), the day the neighbors dog ran into our house, the time Charlotte crawled under the bathroom stall at Chick Fil A while I was changing Bubbas diaper and TERRIFIED the woman going to the bathroom in the next stall, the day Steven told everyone his brother was a drunk (when John Daniel had ear issues he walked around unbalanced and we called him a drunk - yes we shouldn't of done that but we did and Steven most definitely told everyone around him his brother was a drunk), the time John Daniel opened every bottle of my brand new shampoo and conditioner and poured it all over himself and the bathroom - yes moments like these are some where I look around and I just know someone is watching from afar laughing really hard at some of the things that go down at the Watts house. Today was another day I was convinced I was on candid camera. It was one for the books. Some days are more calm than others but today - Nope - it was wild. My husband and I have been 100% dedicated to the newest campus of our church. Our church opened a new campus in McCalla, Al and since day 1 we have been giving everything we have towards meeting all the new member and serving in any way possible. I had been leading a “Mommy & Me” group at our previous campus for almost 4 years. It has been a wonderful experience and helped me meet SO many wonderful moms that have now become some of my best friends. I knew I wanted to do this type of group at our new campus so after much prayer, one of my best friends and I decided to plan and lead a new McCalla Mommy and Me Small Group. We had a huge amount of interest in the group. I got dozens of emails from new moms of the campus excited to come join our group and fellowship with each other. Every week we would meet at the indoor play place at the local McDonalds and talk with each other while the children played. It was a great idea - its air-conditioned , clean, and the kids cant escape. The morning of the group went about as chaotic as a Sunday morning (read about chaotic Sunday mornings here lol). The twins woke up earlier than usual, who knows why? By 9:00 they were tired, fighting with each other and I had already asked the Lord for some Grace probably 100 times by then. Steven on the other hand decided that this would be a day he would sleep in - this rarely happened so at 9:00 knowing we had to leave in 15 minutes I went in to battle, woke up the sleeping threenager and dressed him as fast as I could without giving him any time to realize that I had woken him up out of a deep sleep. 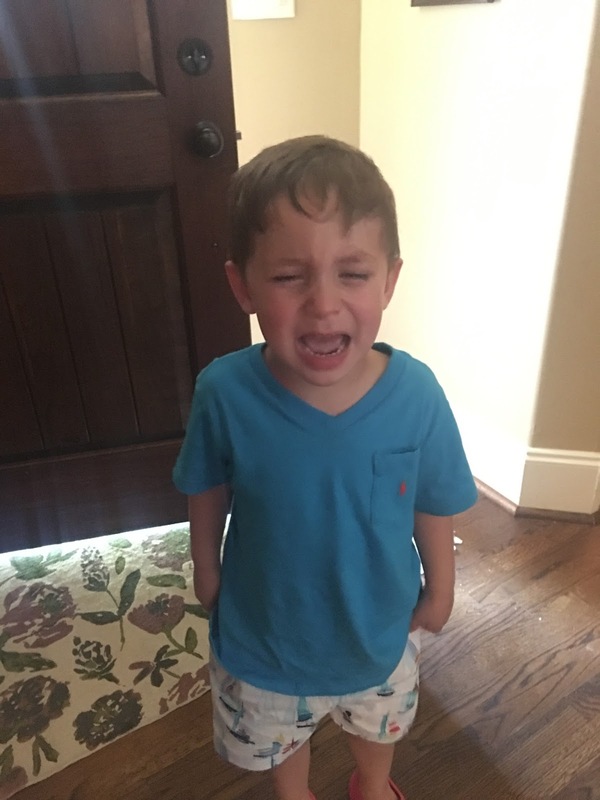 I put everyone in the car, passing out juiceboxes, fruit snacks, toys and pacifiers to keep everyone quiet and calm, locked the house up and was so happy when I saw 9:20 on the clock as I was pulling out of the driveway. Steven begged to listen to scary music on the way to small group, so trying to look for the most “kid friendly” halloween music I could find, we listed to “Which Witch is Which” by Mickey Mouse and Donald Duck for the entire 15 minute drive. Probably should not of been blasting a song about witches on the way to a church small group but you gotta do what you gotta do. I arrived early at the McDonalds playplace, got the prayer cards ready, said a little prayer over the moms and children that would be coming in to fellowship soon and took a deep breath. Ive been leading small groups for so long but I always get so nervous before they start. Doubt starts creeping into my head telling me I can do it, I'm not good enough - you know all those things that make you want to run out the door but my sweet co leader walked in just in time and I felt confident we would have a wonderful day. The moms started coming in one by one, We laughed and joked about how crazy the kids were. We exchanged stories of where we were from and how we got to where we are in between feeding babies, opening jukeboxes and changing diapers. I was so happy that this wonderful small group of moms was starting to form at the new campus. It was just what we had been prating for. I went to the front to get everyone coffee and the manager who took my order noticed my Church of the Highlands shirt. She started asking about our church and I went on and on about our new campus and told her who we all were and why we were there. I told the manager we would be meeting there weekly but we promised to keep the play place cleaner than when we left and thanked her for letting us use the playground every week. The kids were having a wonderful time and for the first time in a while, we all were able to drink our coffee and have a few minutes to relax while our kids were occupied with the indoor playground. “SOMEONE POOPED IN THE SLIDE, SOMEONE POOPED IN THE SLIDE” One of the kids came running out screaming at the top of their lungs they had discovered poop all in the slide. I looked around and saw all the kids running out to their moms as we all looked at the slide and sure enough, there was poop. I was calm - There was no way that it was from any of my kids - my twins had diapers on and Steven would never do something like that. I looked around at the other moms as they started to check their kids pants when I saw something I did not want to see - John Daniel emerging from the bottom of the slide - he got off the slide and turned around and my mind went back to the scene Christmas vacation where he Chevy Chase turned around with a squirrel on his back and everyone ran - Yes watch the video below and that is pretty much what it was like when John Daniel turned around and we all saw his backside COVERED in poop and realized HE was the culprit of the DISASTER on the slide. Mortified doesn't even express how I felt when i realized it was my child, MY BUBBAS, that had made the giant mess in the playground. It my boy that had stunk up the whole playground and it was my little bubba boy that all the kids were running from because he was covered head to toe in nasty nasty poop. 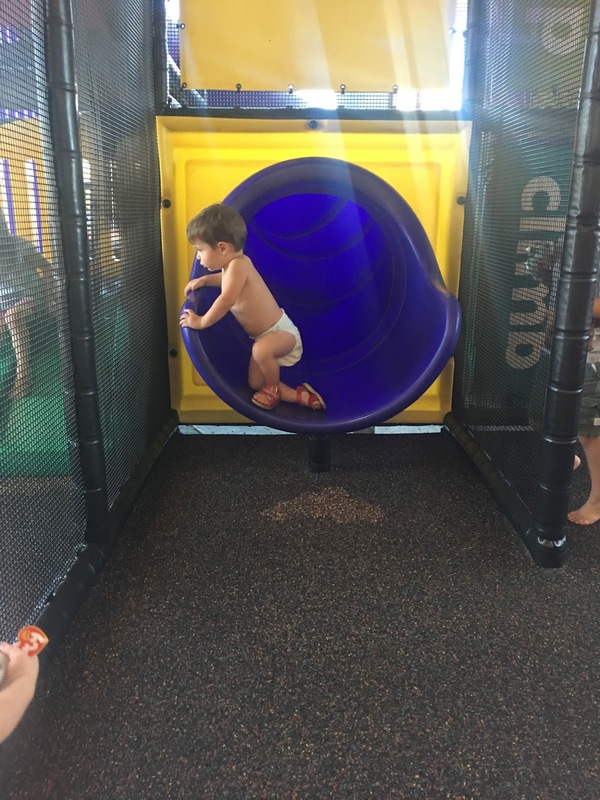 He must have gone to the bathroom and slid down the slide, making a giant mess the whole way down. I ran over to him, apologizing to all the other moms and trying my best to keep under control. Some of the moms took this messy situation as their que to get out of there - and I don't blame them - IT WAS GROSS!!!!!! LOL! I started changing his diaper, stripping him down and wiping him with every baby wipe I had left. His clothes were ruined and he obviously couldn't wear them home so I sat him down in a diaper while I walked towards that hot smelly slide to clean up the damage. I had told the manager we would leave it much cleaner than when we first got there. I didn't actually think that I would be cleaning MY child's poop off the slide when I said that. What kind of small group leader would I be if I left poop in the slide? It wasn't the “Highlands Way” so there I was in the claustrophobic purple smelly slide, wet napkins in one had and hand sanitizer in the other, cleaning poop. Y'all being a mother can you numb you to a lot of things - like the smell of throw up and the smell of poop, nasty old milk or food - those smells don't really bother you anymore after you have smelled them a hundred times, but y'all I can promise you - the smell of that slide was like none other - the sweat of hot smelly kids mixed with my sons nasty poop - Ive never seen or smelled anything like it. I was hot, irritated and now smelly and then it hit me - all those moms! We were having such a good time until the poop hit! They are never going to want to be around me ever again! 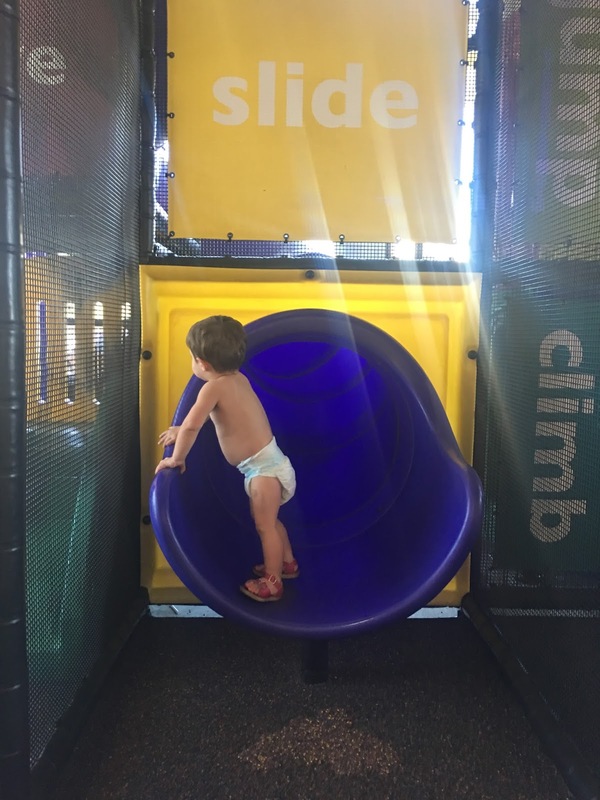 I will always be seen at church as the mom who's kids pooped in the play place slide of McDonalds! Things were going so well - I was making so many new friends - I can kiss that all goodbye! The few remaining moms left helped me get all my stuff together and my sweet co leader carried a stinky, half naked Bubbas in the car while I fought to get Steven and Charlotte out of the play place and into the car. We loaded everyone up, I thanked my sweet friends for their help and we headed out of McDonalds. We had left the play place cleaner than when we got there but that poor slide would never be the same. lol. My spirit was crushed when we were in the car. I just knew no one would want to come back - I had scared everyone away. 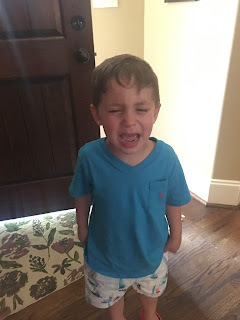 Steven cried the whole way home because “CRAZY ME” had promised him a trip to the store after McDonalds so he could spend some money he had in his piggy bank. John Daniel was half naked, I was covered in poop from cleaning everything and Charlotte was about to pass out from exhaustion from being up since the crack of dawn. There was no way I was taking this crazy train into target so Steven could spend his $12.85. Nope - no way. There wasn't enough money in the world to get me out of that car and back into public. lol. We got home. Everyone was ill and tired. I put everyone to bed and cleaned myself up. Just as I was feeling defeated I started getting texts from many of the moms who had visited the group that morning. Things I needed to hear. One of them said “Thank you so much for today. It was great to be around someone so real. I am sorry about the poop fiasco but I am looking forward to this group and making new friends” Another one said "We had the best time today - it was much needed - Cant wait for more!" I am so thankful for Grace - these precious mamas in my group still had a good time even though it ended in poop and chaos. They had shown me so much Grace by not letting it bother them and letting me know that no matter what had happened they had still had a wonderful time and looked forward to doing it again. Even though I was pretty upset about all the poop, it taught me a valuable lesson - ALWAYS ALWAYS ALWAYS show Grace. 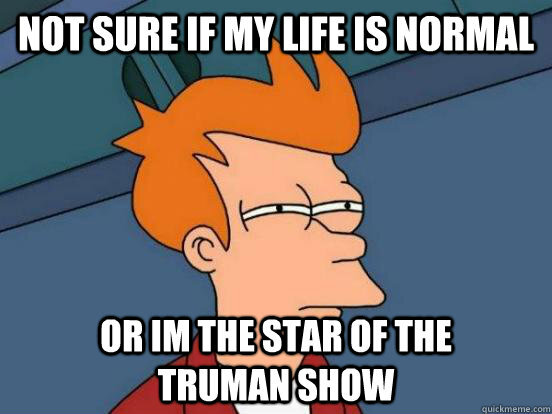 I experienced that today first hand by some friends I have known for years and some I had just met. Show Grace to your spouse when you feel like they are struggling, show Grace in the workplace to those who are giving you a hard time, show Grace to that person who cut you off in traffic or driving to slow, show Grace to your children when you think you can't handle it anymore and most of all show Grace to yourself - We are all just trying to make it day by day and we are all not perfect.You never know what someone is going thru and YOU NEVER KNOW - Your child may be the one who poops on the slide tomorrow!!!! lol! Now go wash your hands because I know you want to after reading about my morning!!!! lol!!!! Im gonna try to extend some grace to this hot, sweaty and tired toddler of mine! I needed to read this today. Sometimes our most difficult task is showing Grace to ourselves. You inspire me. Just finished reading all of your posts I need more of the Watts Train in my life! Love you and the kiddos Ashley! I can't wait to open up to you more. Inspiration at its finest.